Visit the new NAS Surrey Branch website. Any information found here relating to the branch is now out of date and is in the process of being updated. 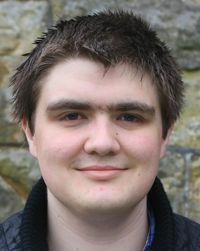 Joshua Muggleton BSc (Hons)., MRes., MBPsS., FRSA, has Asperger's Syndrome. Since 2005 he has been giving talks on high functioning Autism and Aspergers Syndrome across the UK. Drawing on personal experience, anecdotes, and academic research, Josh aims to give his audience an insight into life with Aspergers Syndrome. His interactive, informal and experience based approach has made him a highly popular speaker with parents, teachers and professionals alike. Often using his own personal story, Joshua also delivers speeches at other awareness raising events, highlighting the difficulties he has faced and the successes he has achieved, to deliver a positive, inspirational and motivating message. Joshua's first book "Raising Martians" was published by Jessica Kingsley Books in 2011. Find out more about Josh . mugsy.org is proud to support The National Autistic Society mugsy.org is not affiliated to the National Autistic Society nor any other organisation. Articles and other media on this website are provided for information purposes only. Except where indicated - all content Copyright © 1996-2017 mugsy.org Contact the webmaster.